David completed the Sports Clinical Residency program with Vanderbilt Orthopaedic Institute and Belmont University and is a Board-Certified Specialist in Sports Physical Therapy by the American Board of Physical Therapy Specialties. He worked as an athletic trainer for several years at Louisiana State University while earning a Master’s degree in Exercise Physiology, and at Vanderbilt University working with the track and field and cross country teams. He has also spent time in the NFL working with the Tennessee Titans during physical therapy school. 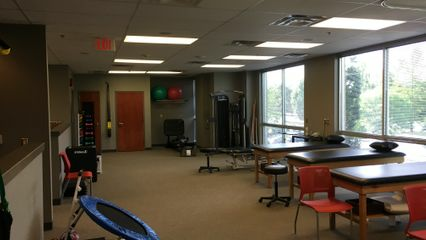 He graduated from Belmont University with his Doctorate of Physical Therapy before entering the sports residency program. He has a strong desire to return each patient to their highest level of function including elite athletics. He is trained in myofascial trigger point dry needling and uses a systematic movement evaluation approach with each patient. Jeremy graduated from University of Alabama in 2015 and has a special interested in outpatient orthopedics. He received his advanced certification in trigger point dry needling and has outstanding manual skills. Jeremy is passionate about rehabilitating each person to their fullest potential.